January 23, 2015 – A Forest Grove Police Officer attempted to stop a reported reckless driver that refused to yield to him. Concerns for public safety resulted in the officer terminating the pursuit. 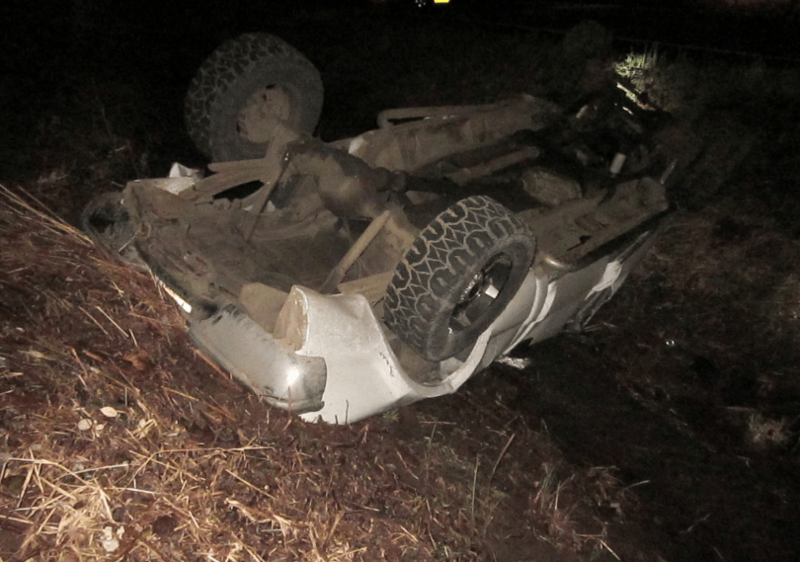 The man ultimately crashed and was arrested for DUII by Sheriff’s Deputies. On January 22, 2015, at about midnight, a Forest Grove Police Officer attempted to stop a white 2002 Ford pickup that was reportedly driving recklessly. When the officer attempted to stop the truck, the driver sped westbound toward NW Gales Creek Road. The officer was using his lights and siren as he attempted to stop the truck. The driver refused to stop and was actively attempting to avoid law enforcement. For public safety reasons, the officer aborted his attempt to contact the driver. 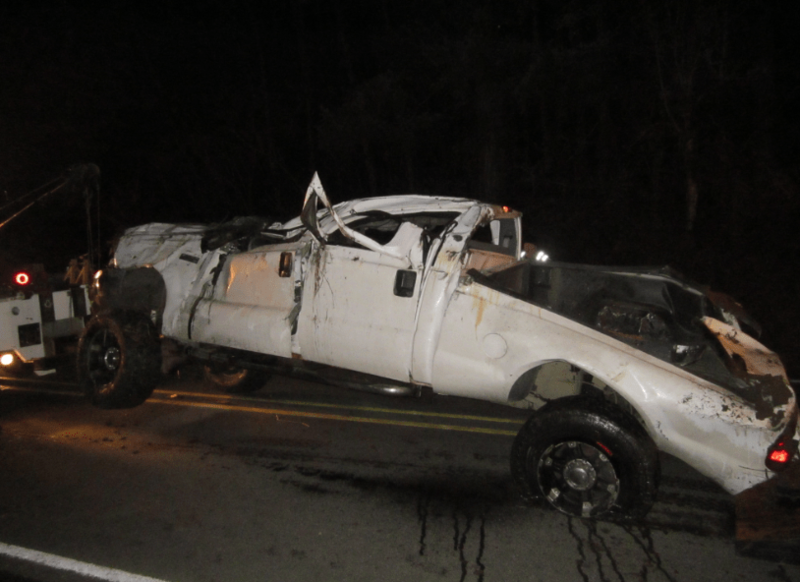 At 12:22 a.m., a passerby contacted the Sheriff’s Office to report a serious crash on NW Gales Creek Road near NW Owl Drive, more than three miles west of Forest Grove. It was reported that a white Ford pickup was upside down in the ditch on the north side of NW Gales Creek Road and a man was laying face-down in opposite ditch. Sheriff’s Deputies arrived and found James Bogosian, 29, from McMinnville injured in the ditch and identified him as the driver of the Ford pickup that fled the Forest Grove Police Officer. Deputies found Mr. Bogosian was driving westbound at a very high speed when his truck left the roadway and climbed a power pole support wire causing his truck to flip over violently. Investigators determined Mr. Bogosian was ejected from the truck as it tumbled and rolled a distance of over 475 feet before coming to a rest upside down. James Bogosian was airlifted to Emanuel Hospital with serious injuries. He was issued a criminal citation at the hospital for DUII alcohol. Additional charges are anticipated as the investigation continues. This entry was posted in Boating while impaired and tagged Driving Under the Influence, driving while impaired, drunk driving, DUI, DWI, Forest Grove Police, Gales Creek, James Bogosian, Oregon State Patrol, OWI, upside down in creek, Washington County Oregon Sheriffs Office. Bookmark the permalink.